Hale Kai means "Home by the Sea", and we are well named. We offer individually decorated one, two & three bedroom condos with full kitchens, high speed wireless internet and cable television. 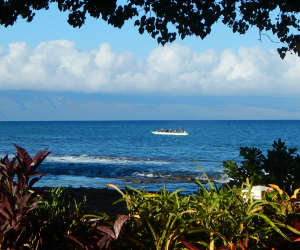 You will learn the true meaning of "aloha spirit" as our staff treats you as part of the Hale Kai Ohana (family). 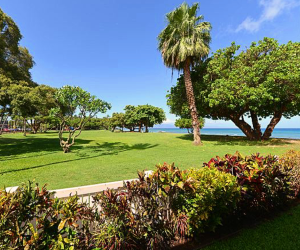 We do our best to extend the aloha spirit and make you feel right at home. Just ask our many guests who return here year after year, and read our reviews as found below. 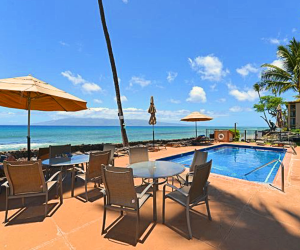 "This small two-story condo complex is ideally located, right on the beach and next door to a county park -- a great location for those traveling with kids. Shops, restaurants, and ocean activities are all within a 6-mile radius. The units are older but in excellent shape; they come with well-equipped kitchens and tropical louvered windows / ceiling fans that open to the trade winds." 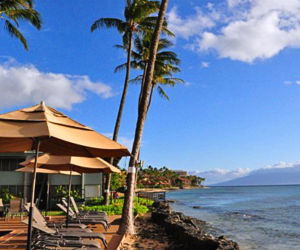 "This is our first time at Hale Kai and I am hoping it won't be our last. That being said the majority of the people we have met have been here multiple times and they take pride in Hale Kai All our needs for a fantastic holiday have been met. The office manager was great.